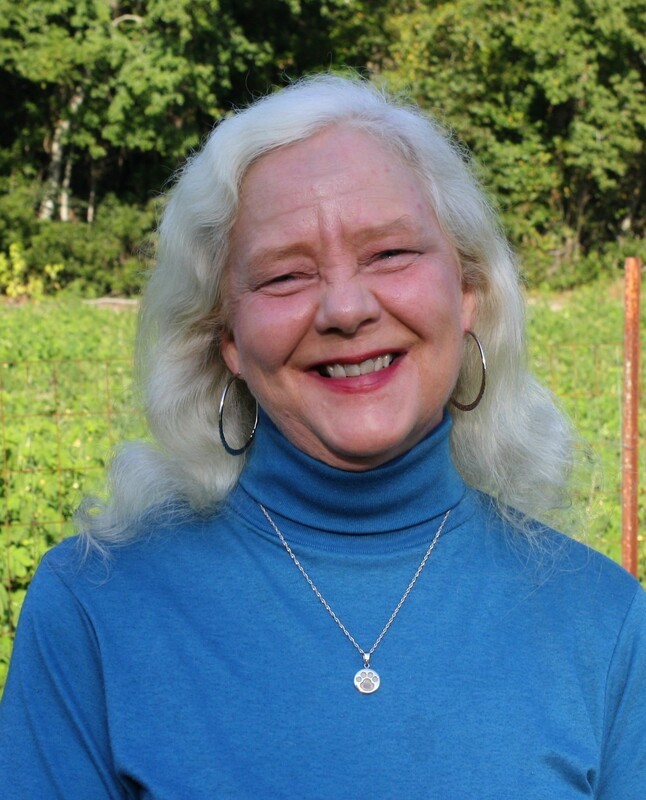 Welcome to author Greta Burroughs! Greta, please take a moment to tell our readers a little about yourself. I was born in Seneca, SC but grew up in the mountains of North Carolina, Hendersonville to be exact. After I graduated from college, I met the man of my dreams, married him and moved to coastal South Carolina. We now live in Green Sea, about 40 miles inland from North Myrtle Beach, SC. Over the course of 27 years, we have had a number of four-legged children (dogs). For several years, we had seven mutts at the same time. That was a full-time job, but I loved them all and would not trade the time with my ‘kids’ for anything. My husband, Robert, introduced me to aviation and we had our own aviation testing business. I administered FAA written tests and managed the office but left the flying for Bob to do. I never mastered the flying bit. I tried but was too short to reach the rudder pedals and see out the windscreen at the same time. Plus, you have to move your feet, hands and head while keeping the airplane straight and level. That was too complicated so I left it up to the expert to do the work. I sat back, relaxed and enjoyed the flight. Bob also introduced me to motorcycles and that has become our favorite hobby. We have restored some old British bikes and won quite a few trophies at various events up and down the east coast. That was a lot of fun! Now, I mostly sit in my little cubby-hole and write. I’m a “flight” chicken, but the bikes sound like fun, especially riding them. What got you started with your writing? I started writing seriously when both my husband and I were unable to work outside the home due to medical issues. Bob was grounded with heart problems and I was diagnosed with an autoimmune blood disorder called ITP. Bob had already published one book and was working on his second one while I started working as a freelance reporter for a local newspaper. My husband encouraged me to try my hand at writing a book. I had no idea what to write about so I fell back on my love of children’s books. The first Patchwork Dog and Calico Cat stories were written on a legal pad and stored in a desk drawer. I was too busy with my newspaper work to do much with them at that time. But every spare chance I had between articles was spent working on my first MG/YA book, Gerald and the Wee People. It took a couple of years, but I finished the manuscript and had my first book published. Then Patchy and Calico were rescued from the drawer, and I’ve been writing ever since. So, your genre is MG/YA Fantasy? Yes, and I have one non-fiction book about my experiences with ITP. What’s your writing process? SOP or are you well-devised outliner? I am a seat of the pants writer. Usually, I have no idea the direction a story is going until I sit down to write it. I have been surprised on several occasions. That’s me, too. I wouldn’t know where to begin an outline when I start writing. I have no idea where I’m headed until the characters speak up. What other writer inspires you? Your work? I love to read fantasy novels. Anne McCaffrey, David Eddings, Mercedes Lackey, Isaac Asimov probably are the ones who inspired my foray into writing MG/YA fantasy books. I’m always interested in how another writer feels about their own writing. What is your favorite work by you? And why is it your fav? I guess Gerald and the Wee People is my favorite. I used the names of my parents, uncle and brother for the main characters. Gerald, Vernon, Allison and Tom had all passed away, and I wanted to write something special so their names and my memories of them would never die. That’s a great tribute to them! Other than those characters, where does your character inspiration come from? The characters in Wee People and in the second book in the series, House on Bo-Kay Lane, just came from my imagination – people you would expect to find in a medieval type of village. Patchy and Calico were inspired by a poem my husband wrote about a dog and cat he had seen wandering around the neighborhood. I confess, I stole the idea from him. As writers, we all gather some fun stories about our path. What is your best/worst experience? The best experience has been seeing my work in a book that I can hold in my own two hands. Also the nice reviews and comments have strengthened my self-confidence and have encouraged me to continue writing. The worst is sitting at my computer with a blank screen in front of me, my brain refusing to cooperate! Oh, boy! We’ve all been there! How about the best/worst writing advice you ever got? The best advice was from my husband encouraging me to try writing a book and the worst was from a friend who said e-books were not worth the time and effort. Robert sounds very supportive! Perhaps your friend hasn’t been reading about our trade lately, heh? What is your latest work and where can we buy it? 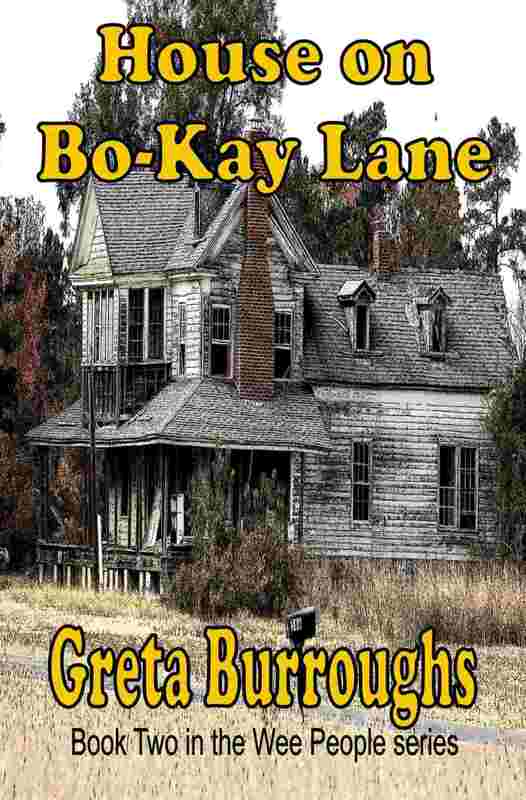 My latest work is the second book in the Wee People series, House on Bo-Kay Lane. It’s available on a number of sites. What else would you like your fans to know about you and your work? I really enjoy writing. My aim is to entertain the readers with good stories and have them come away wanting more. I really appreciate all the kind words, nice reviews and compliments on my work. If it weren’t for my fans, my writing would be nothing. They are what make the blood, sweat and tears worth it. Just for fun, tell us a secret about yourself–something your readers don’t already know about you. I am left-handed and my handwriting is so bad, I can’t even read it myself. Thank God for MS WORD!!!! Do you have a website? We’d love to check it out! Greta, thank you for letting us visit with you! We really enjoyed learning more about you and your work.